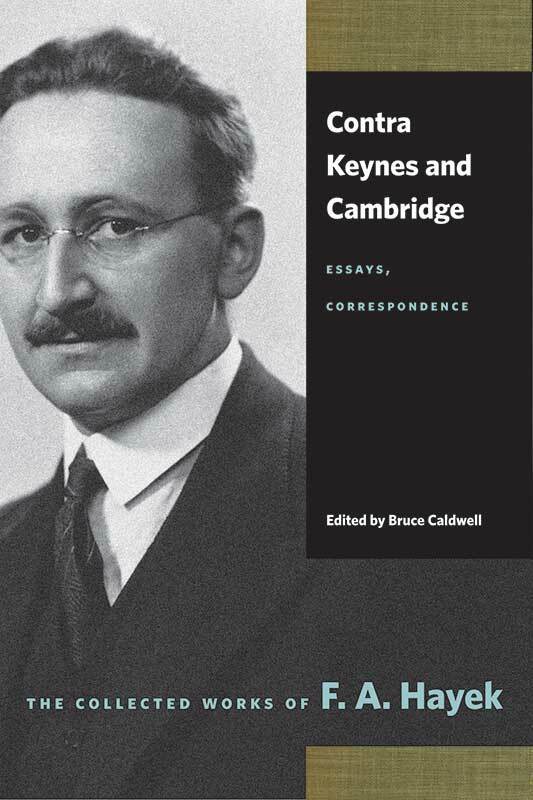 Contra Keynes and Cambridge is composed of three parts: Part I consists of two essays, the first being a recollection by Hayek of his time at the London School of Economics in the 1930s, followed by his contribution to an early debate about the paradox of saving; Part II reprints the full debates between Hayek and Keynes in Economica in the early 1930s, and Hayek’s exchanges with Sraffa that followed; Part III includes some of Hayek’s reminiscences on Keynes. F. A. Hayek challenged one of the world’s leading economists, John Maynard Keynes, and his economic theories, which sparked a spirited debate that has influenced economic policy in democratic countries for decades. F. A. Hayek (1899–1992), recipient of the Medal of Freedom in 1991 and co-winner of the Nobel Memorial Prize in Economic Sciences in 1974, was a pioneer in monetary theory and one of the principal proponents of classical liberal thought in the twentieth century. He taught at the London School of Economics, the University of Chicago, and the University of Freiburg. Bruce Caldwell is Research Professor of Economics and the Director of the Center for the History of Political Economy at Duke University. He is the current general editor of The Collected Works of F. A. Hayek. Editorial foreword by Stephen Kresge, introduction by Bruce Caldwell, index.